HVAC and plumbing systems are not made to work flawlessly for years without maintenance or repairs. They can fail due to problems normal wear and tear or previous installations that were done by amateurs. That’s why Rite Rate is the preferred plumbing, heating, and air conditioning company in Paterson, NJ. We provide 24/7 emergency repairs, replacements, and installations. Problems with your boiler or furnace should not be ignored because they can worsen over time. A small malfunction can turn into a major one and can, therefore, become more expensive and difficult to repair. However, Rite Rate offers 24-hour heating repair in Paterson, NJ. We can also do regular maintenance to make sure your heating system is working efficiently. Should you face any issues with your furnace, hot water heater or boiler, you can contact our heating company in Paterson, NJ. If you need a new heater for your home or business, let our expert technicians install it for you. Air conditioning systems have become indispensable hence the reason why we must ensure they are working at all times. A lack of freon or small issue with the filter can result in your air conditioner becoming inefficient. For any forced air or central AC malfunctions you can contact us at any time of the day or night, and we'll arrive promptly. We are a reputable air conditioning company in Paterson, NJ for installations, repairs, replacements, and maintenance. From packaged air, ductless split systems, and central air conditioning systems, Rite Rate covers it all! A clogged pipe or sewer blockage can lead to hours or even days of nightmares and inevitable damage. Flooding and water damage can occur quickly, so they need to be fixed as soon as they are identified. At Rite Rate, we specialize in plumbing repairs, replacements, and installations. Moreover, we are able to assist with flood assistance and water damage restoration in case a major issue occurs. Our plumbing company is available 24 hours a day in order to ensure that any problems are quickly repaired and that all clients are satisfied. No matter if it’s an issue with your toilet, drains, sewer, or sump pump, let Rite Rate supply you with affordable plumbing services! 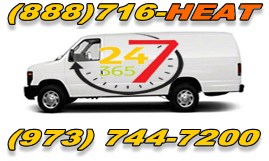 For a plumbing, air conditioning, and heating company in Paterson, NJ that you can call 24/7, trust Rite Rate! You won’t be disappointed with any of our services whether it’s frozen pipe repair, air conditioner installation, or heating repair in Paterson, NJ!